Free Consultation and Acupuncture Treatment for your Hay Fever and Allergies! For people who have allergies, press on these points to help with acupressure. Learn more here! Hi! My name is Joshua, and I am an acupuncturist who helps people with allergies, just like you. Hey, I’m very practical person and like you when I am suffering from hay fever and seasonal allergies, I want relief fast! 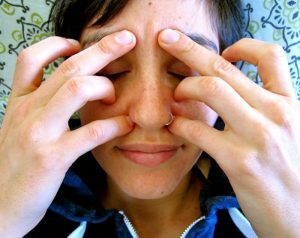 So, doing some acupressure like this gets 4 points on each side of your face to really open up the sinuses, clearing the eyes and face. You can do it several times a day for quick relief. If you looking for more help with your hay fever and allergy symptoms have you tried acupuncture? “How the heck can acupuncture work for my hay fever and seasonal allergies?” you ask? Well, think of it as a natural way of stimulating your body to release it’s own anti-histamines, so you feel less and less allergic! Acupuncture has a great way of shutting down mast cells ability to release the histamines in your body that cause you to feel the sniffling in your nose, the irritation in your eyes, and the itchiness, which feels like a plague, all over your face! You see when your immune system becomes hyper-reactive, and you become more prone to reacting to the pollen and flowers. Acupuncture shuts down this process! If you’re new to acupuncture, and you want to tame your hay fever and allergies, I’d like to extend an offer to you to try that I think is too good to pass up. You see this year, I’m on a mission to help more people in the community. For the first 20 people only, I’d like to invite you to an introductory, $30-dollar acupuncture session. To try it with no strings attached. To take advantage of this offer, here’s what you need to know. Call me right now at (201) 444-7150. If I don’t pick up, leave a message and I’ll get back to you within a few hours. Once we get to your free session set up, mark it on your calendar, and show up 10-minutes early for your appointment to fill out some paperwork. When you come in you will be met by me and I will consult with you for 35-minutes asking you different questions about your hay fever to pin point the best cause of the problem and give you a 30-minute treatment as well as some advice to help combat it naturally. I can only offer this to the first 20 people who call so be sure to get in. Call 201-444-7150. 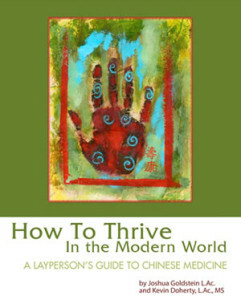 If you’d like to learn more about acupuncture, check out my website blogs at www.acupunctureYes.com , or download my free E-book on the websites, or follow me by liking on my facebook page “Integrative Acupuncture Center”. P.S. If you like yoga, massage and exercise, or classical music you will LOVE acupuncture!